Biddenden is a large, mostly agricultural and wooded village and civil parish in the Ashford District of Kent. The village lies on the Weald of Kent, some 5 miles north of Tenterden. It was a centre for the Wealden iron industry and also of clothmaking. All Saints Biddenden is the parish church, built mostly in the 13th century. There was likely an earlier Saxon church here. During the half-century reign of Edward III, Flemish clothworkers were settled in the area. The ready availability of raw materials led to the establishment of a flourishing textile industry for the production of broadcloth. Wealth from this industry built many of the fine houses in town. Probably my favourite English village right in the heart of the Kent, and in it sits this unusual, but rather quaint establishment that really does not know whether it is a restaurant, tea room, bistro, or café. Nevertheless, it fits well into the description of an English tea; scones, cake displays, selection of teas and other hot beverages, as well as hot meals all day. A family run business, is it an extremely attractive place to relax and enjoy fresh local produce. The owner and staff are extremely pleasant and provide a nice warm welcome. Inside is reflective of the old English houses with low beams, log fire and old books. It really is a very nice place. So, impressed, I took my wife Sandra there a few days after my first visit and have been back twice since. No on-site toilets, but some are available right opposite inside the free car parking compound. I can recommended this lovely place for an English afternoon tea experience. 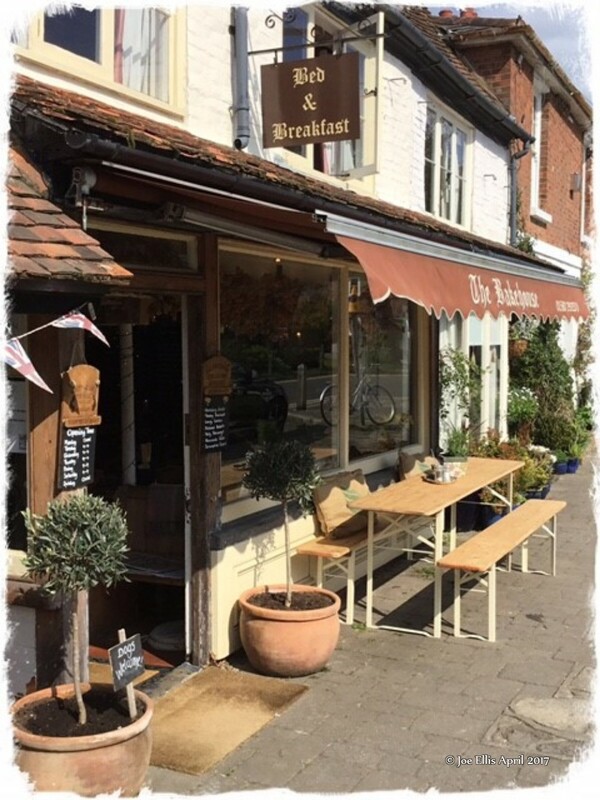 Christine, the owner of The Tiny Teapot in Biddenden, Kent surely knows how to run an English Tea Room. 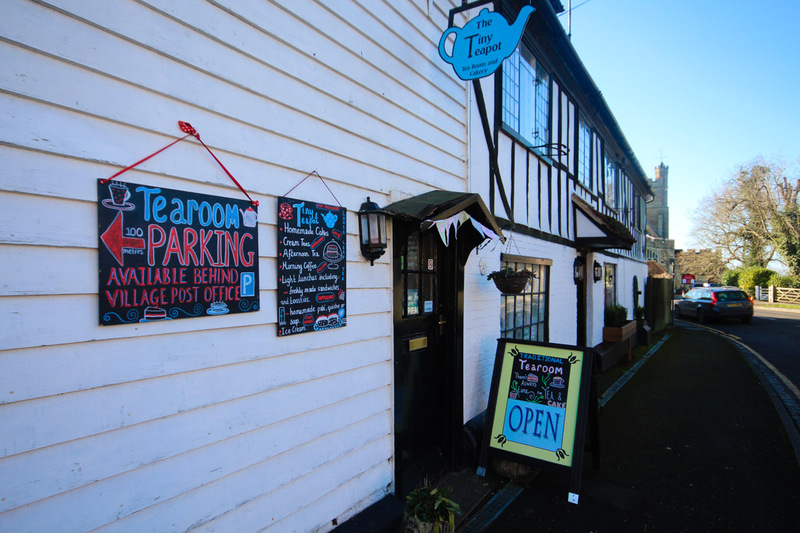 The tea room is in one of the most beautiful parts of Kent, a village that I originally would have loved to have moved to 16 years ago; the only obstacle was finding a house with lots of land. So sadly, despite trying, Biddenden was out, but that does not stop me visiting regularly and when I do, I always pop into The Tiny Teapot. It really is tiny, but then, that definitely adds to the appeal of this really pleasant, quaint English Tea Rooms. Tea cosy, top up hot water, lovely baked scones, great food, free Wi-Fi, what else could one want? Plenty of free parking. I would take a pleasant walk around the grounds of the church nearby and the little village. A gift shop is only a few doors up, which is owned by the former owners of Claris's English Tea Room, which is in the same building. Sadly, that tea room closed a few years ago, now. I can surely recommend The Tiny Teapot; and I will be returning very soon…!